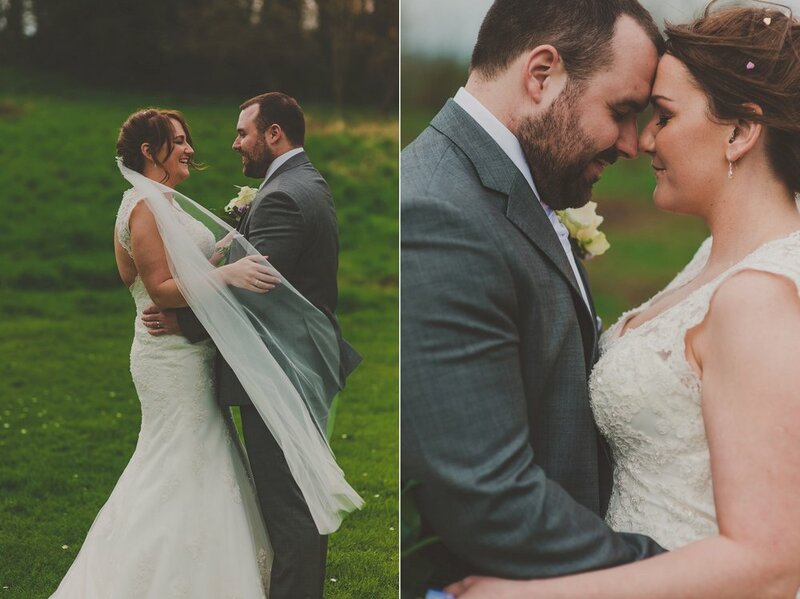 Leigh and James' day was so special - although seeing as they were in the middle of a very stressful house move, how they coped with the final stages of wedding planning without being utterly overwhelmed is beyond me - whatever the secret is of being able to let go of stress and embrace happiness, these two have it! I know The Knowle Country House hotel really well - my parents' best friends live just 5 mins around the corner, and I was thrilled when Leigh told me that she was getting married there - at last, I get to photograph there! And it didn't disappoint, from the gorgeous outdoor ceremony to the stunning grounds, to the beautiful room that they had their wedding breakfast in, it was perfect.